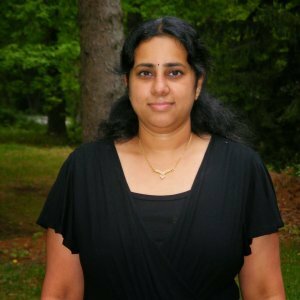 After my son’s Birthday Party, I was pretty exhausted and also had left over’s. One of such left over’s was Pita Bread. 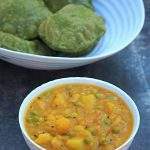 So I decided to just use them as Naan (Indian bread) and wanted to make a side dish for it. That is how I made this gravy from a cookbook that I have had for over 15 years. Actually I do have the actual cookbook, but a photocopy of the book that my mother sent from India. This recipe goes towards my second day of blogging Marathon under the theme cooking from a cookbook. 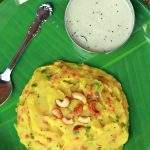 This book is called ‘A compendium of recipes (vegetarian) and the author of this book is Vatsala.R. Kettay. 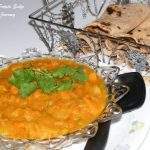 This book has several Indian recipes and also some continental recipes. 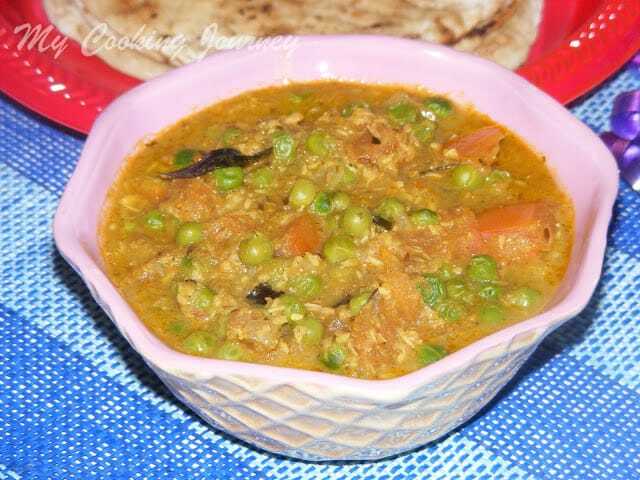 Usually I make a quick peas masala with onions and tomatoes to pack for lunch. 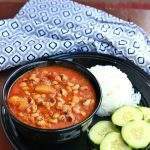 This recipe though is very different from what I use and it does take some time to make it. The flavors were spot on and were passed by the critics in the house, except my little one who does not like peas. I really think now even liking or disliking certain vegetables is passed on genetically. I used to be a peas hater when I was young. 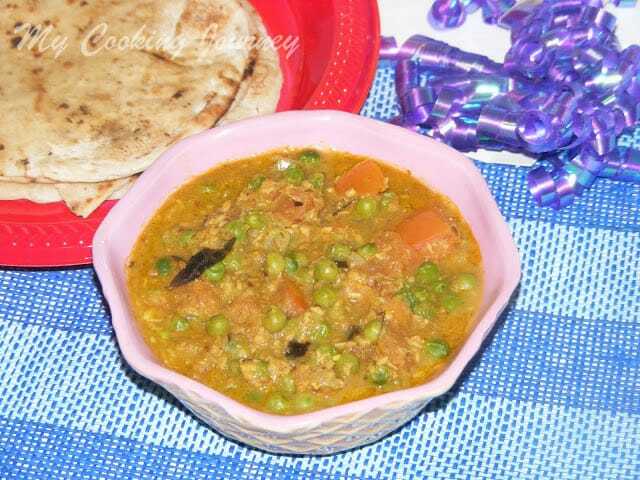 I mean I still do not like peas, but I can tolerate it in recipes as long as it is not in abundance. As a parent I do believe that kids have to eat all their vegetables and there is no getting away from it, except when it comes to peas. So I just gave him more tomatoes and sneaked some peas in with it. 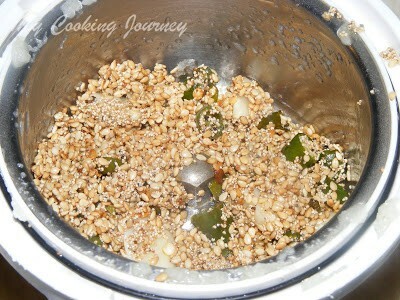 In a small pan roast the poppy seeds, garlic, 2 green chilies and sesame seeds in very little oil. 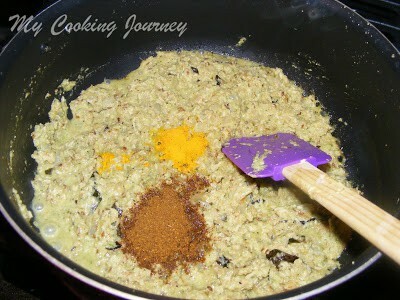 Now grind it into a smooth paste along with ginger, coriander leaves and mint leaves. Keep aside. 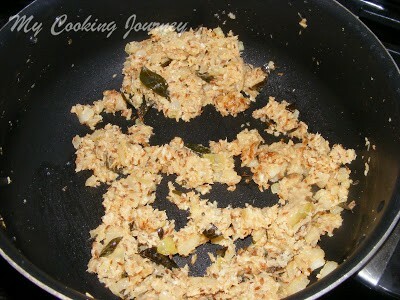 In a medium pan, heat oil and add the cumin seeds and curry leaves. 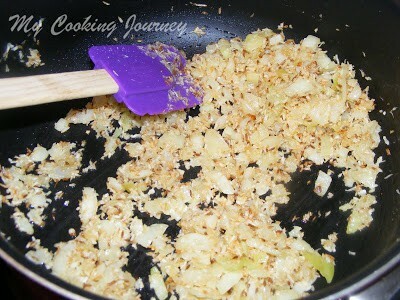 Let it splutter and then add the chopped onion and desiccated coconut and fry till golden brown. Now add the ground onion and sauté for 5-7 mins. 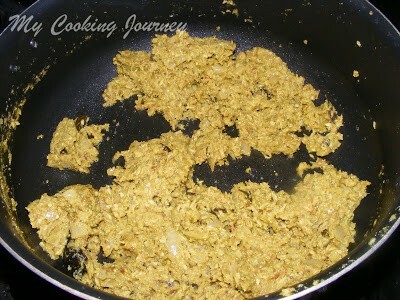 Next add the ground masala along with turmeric powder and garam masala and fry well. 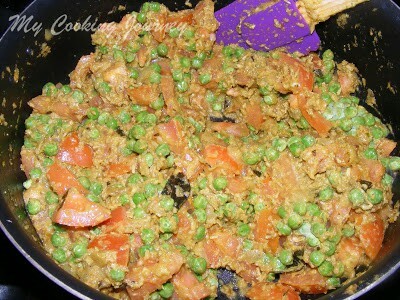 Once the masala starts to get aromatic, add the shelled peas and the tomatoes along with salt and let it come to a boil. Add enough water to bring the gravy into the required consistency. Let it simmer until the peas and the tomatoes cook. 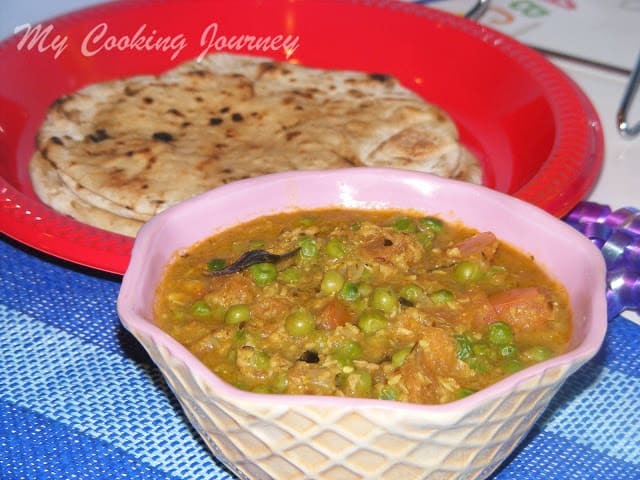 Serve hot with rice or Parathas! this is a new gravy..and I have book marked!..use of poppy seeds will make it rich and delicious! Gravy looks yum.will soon try your version. Now that fresh peas are available in plenty , I think I should make this! 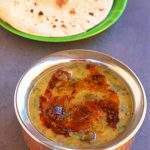 Excellent side dish for parathas, i can have two more rotis with this fingerlicking gravy. very tempting gravy and dish. do visit my space too. 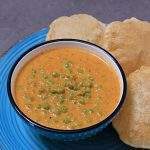 tempting side dish for rotis!! 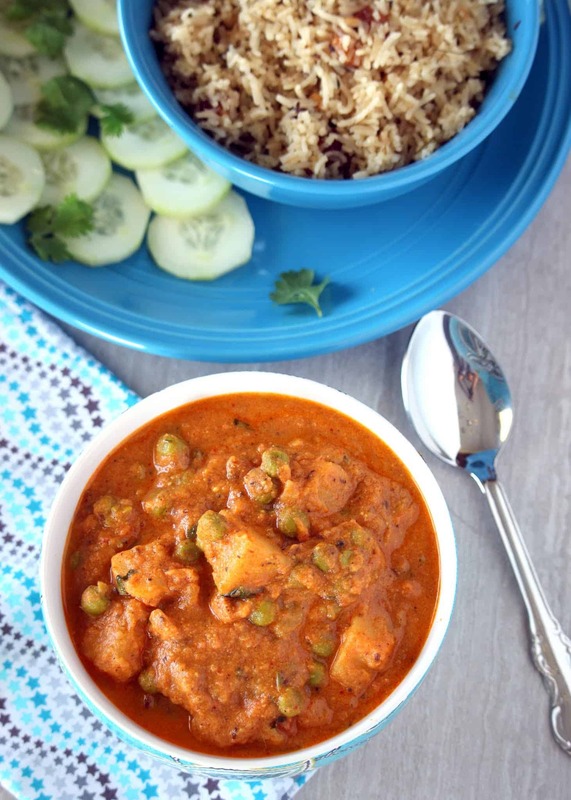 The masala looks very flavouful. The gravy must have tasted great with the masala…. 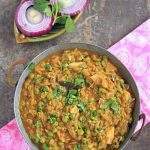 delicious recipe… very healthy tooo!!! 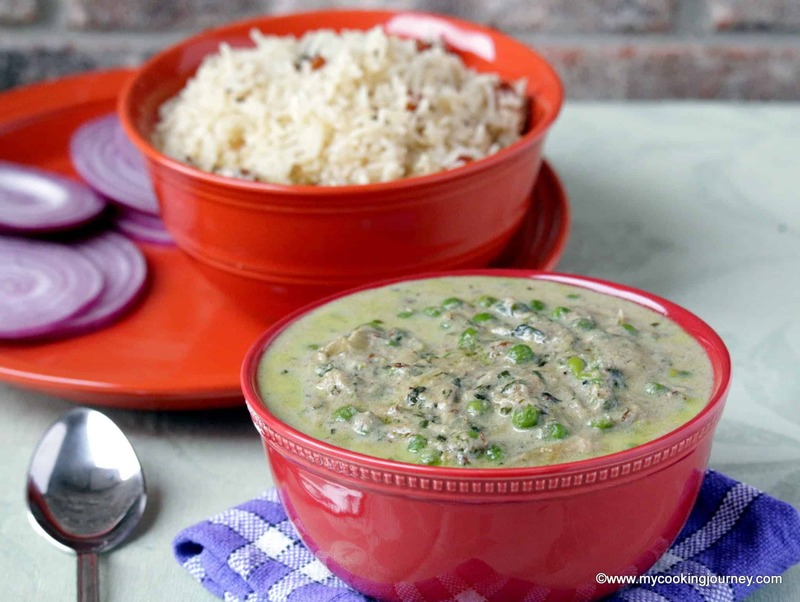 Quick gravy, good one for busy days. Love that spices used in the curry. Sounds so flavorful and delicious. I love the stuff that went into your gravy. We can use it with any combo of veggies. And your matar tomato dish looks great. delish gravy ! and nice way to use up veggies too..